A cell dying from apoptosis. 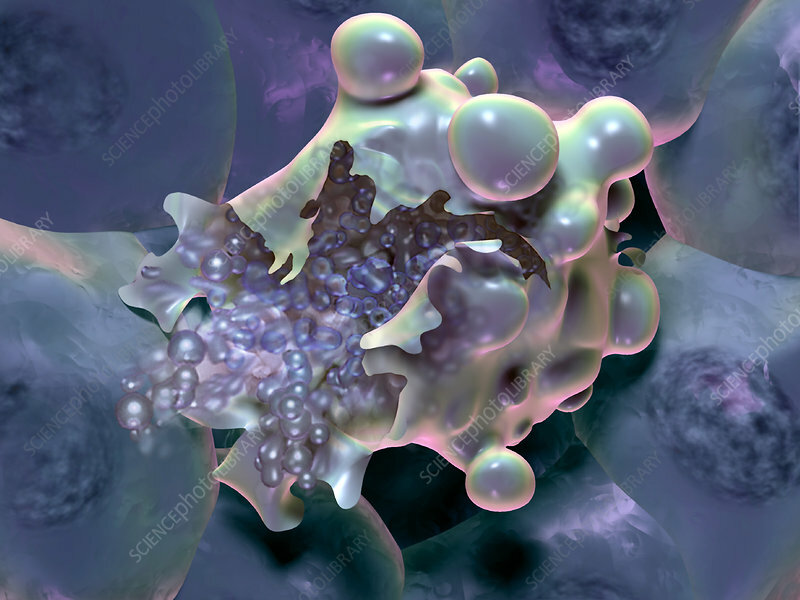 Apoptosis is a type of internally programmed cell death, which is part of many normal developmental processes and is crucial to an organism's life cycle. In the embryo, for example, human fingers are formed when cells between the fingers initiate apoptosis. When dying, the cells and their nuclei, rather than swelling and bursting, shrink and become consumed. Defective apoptosis (too much or too little of it) will result in diseases and tumors.